If you’re looking for the top Snow Joe brand blowers for your home, we’d like to help. Snow Joe is one of the most popular brands of snow blowers, with gas-powered and electric blowers in a range of sizes and budgets to meet the needs of most homeowners. This brand is one that’s very focused on the operator, adding helpful features to each machine to make operating them as straightforward as possible. In our reviews, we’ll let you know the essential features of our four top choices, as well as the pros and cons of each so that you can find the right Snow Joe snow blower for you. Read on for more information on how to choose the right snowblower for your situation. If you are in a hurry, you can jump to our recommended snowblowers for different situations. Some of the most popular Snow Joe snow blower models are electric-powered, rather than gas-powered. 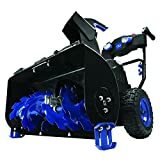 For our reviews, we chose four of the top electric snow blowers from Snow Joe because it’s a leading brand for this type of snow blower. But, before you purchase an electric snow blower, there is some critical information you should know about its operation and maintenance. What are the Benefits and Drawbacks of Electric Snow Throwers? As a reminder, Snow Joe does offer gas snow blowers, if that’s what you prefer. But, its electric blowers are quickly becoming its most popular type. An electric snow blower will need a power cord to operate, rather than using gas to power it. Electric snow blowers can save you money on gas, give you more consistent power, and reduce the maintenance cost and time you’ll need for your snow blower. They also reduce emissions to be more environmentally-friendly. Plus, you’ll never need to worry about running out of gas while you’re snow blowing because you’ll get a consistent stream of power via electricity. The downside is that electric snow blowers aren’t typically as powerful as their gas-powered counterparts. Gas provides a little more push through heavy snow. You’ll also need to be careful with an electric snow blower since you’ll have a power cord to watch for to prevent tripping and getting tangled in the machine. Should I Opt for a Battery-Powered Snow Blower? A battery-operated snow blower is an alternative form of an electric machine that Snow Joe offers. This type of snow blower curbs one of the most significant problems that corded blowers have: the cord. You don’t need a cord to start or use a battery-operated snow blower, so there is no risk of tripping over one or accidentally going farther than your cord can reach. But, your battery will need to be fully charged to get the most out of your machine. Most batteries only take a couple of hours to charge fully, but if you forget to do it, you’re without your snow blower. And, depending on how much snow you have, a battery-operated snow blower may not give you enough time on one charge to get the job done. Therefore, these types of snow blowers are best for people who don’t have a lot of space to clear and can get the job done quickly. Alternatively, you could purchase some extra batteries, but that’s an additional cost to consider. What are Amps and What Do I Need? Electric snow blowers typically range in amperage from 11 to 20. But, what does the amperage mean? Regarding snow blowers, the amps refer to how much electricity your snow blower can handle to power it. The lower number of amps, the less powerful it is. An 11-amp machine is best for people with little snowfall who don’t have many sidewalks or a large driveway to clear. A 20-amp device can handle some of the most significant jobs, from high mounds of snow to heavy, wet snow. You should check your power outlets before purchasing a snow blower to ensure that they can handle the amperage you chose. Depending on the age and type of electric system you have, your snow blower could blow a fuse if it has too many amps for your system to handle. How Does Maintenance Compare with Gas and Electric Snow Blowers? Gas-powered snow blowers tend to need more maintenance than electric snow blowers. When not in use, or in periods of extreme cold, your gas engine can gum up, rendering the machine virtually useless. But, electric snow blowers don’t need oil or gas, which keeps the engine cleaner and running more smoothly, even after the off-season. You won’t need to change spark plugs or oil in your electric machine because it doesn’t use any. Instead, your most significant maintenance expense will be replacing a worn-out battery if you have a battery-operated snow blower. Fortunately, you can extend the life of your battery by charging it according to the manufacturer’s instructions. Aside from that, your electric snow blower may need some small repairs or replacements of worn parts, just like any snow blower. You can usually extend your snow blower’s life by keeping it stored in a dry place during the off-season and taking some time to wipe it down after each use. 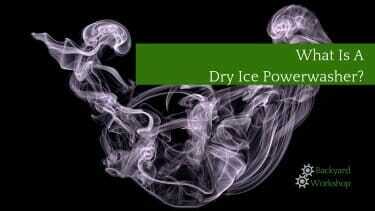 We chose our top Snow Joe brand blowers based on customer popularity and the features they offer. Snow Joe is one of the pioneers of the electric snow blower, and its electric models are among the top sellers for the company. Here, we review four of the best models to meet the needs of just about any homeowner, from those with heavy winter snowfall to those with light snow and small spaces to clear. The Snow Joe Ultra 18-inch Electric Snow Thrower is one that can handle small to medium jobs efficiently. The 13.5-amp motor gives enough power to meet the needs of most homeowners with average snowfall, allowing up to 650 pounds of snow cleared each minute. This snow thrower is a corded model, so you’ll have a consistent power source. The electric start engine operates with the push of a button and features Instant-Start technology for a quick, hassle-free starting process, even in the coldest weather. You’ll benefit from a path that the snow thrower clears right down to the pavement of your driveway or cement of the sidewalks, thanks to the innovative auger design. You can rotate the snow chute up to 180-degrees to control where it goes once you clear it. 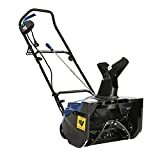 This Snow Joe snow blower gets our title of best overall for its ability to clear snow fast with an adequate clearing width on virtually any paved surface. You’ll need to buy a cord. Here’s one we like. The Snow Joe 15-inch Electric Snow Blower could be an excellent option for people who don’t want to spend a lot on a blower because they don’t get a lot of snow. 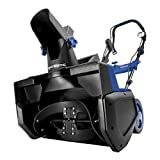 This rugged little machine is compact but has a clearing width of 15-inches, which is still adequate for small driveways and sidewalks. If your area usually gets less than eight inches of snow at a time, this unit could be your best option. This model has a sturdy, two-blade plastic auger that likely won’t be able to handle heavy, packed snow, but can clear fluffy, lighter snow with ease. This snow blower excels in maneuverability in light snow, with small, all-terrain wheels that give just enough grip to move through small amounts of snow. If you’re looking for a very compact machine to store and remove from storage easily, this Snow Joe model can be a good choice. And, it assembles in just a few minutes so that you can get started with your job quickly. The Snow Joe 24-inch Cordless Two-Stage Snow Blower may be the right choice for the homeowner who lives in an area with heavy snowfall and needs a robust, reliable snow blower to do the job. And, if you have a large area to clear, you might find that you benefit from this unit even more because it operates on battery power, rather than AC electricity via a power cord. The two-stage operation of this snow blower helps the unit get close to the ground without touching it, thanks to the auger and impeller that work together to move snow. You can use this machine on a variety of surfaces without worrying about it damaging your grass or kicking up rocks. This snow blower also lets you adjust and lock the chute from your dashboard using a one-handed control. Therefore, if you need to change directions as you operate it, you won’t have to stop to adjust the machine manually. If you want a Snow Joe snow blower that’s powerful enough to handle mid-size jobs, but not bigger than you need for the common driveway and sidewalk distance, you might want to consider this model. 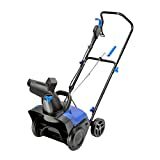 The Snow Joe Ultra 21-inch Electric Snow Thrower offers a good balance of power and compactness to clear the average homeowner’s property. This unit can move up to 800 pounds of snow per minute with its 15-amp motor. Combined with the steel auger, this snow thrower can handle most heavy, icy snowfalls in addition to fluffy, lighter paths of snow. The scraper will move snow right down to the ground, which is ideal for clearing snow from pavement, sidewalks, or a wooden deck. Adjust the snow chute up to 180-degrees for ultimate control of where your displaced snow goes. And, with the reliable LED headlight, you’ll be able to see a distance ahead of you as you clear your paths. If you decide that a Snow Joe electric snow blower isn’t for you, you can always opt for one of the gas-powered ones. Alternatively, there are plenty of other excellent snow blower brands on the market. We hope you find the best one for you!